The social network Pinterest hit the online scene in March of 2010 with a mission to “connect everyone in the world through the ‘things’ they find interesting.” Still, many people didn’t hear about the site until nearly a year later when it was being hailed as the next best thing. Why did Pinterest take so long to catch up with the social networking crowd? For one, there was some confusion in the beginning as to how you could use copyrighted materials. People were getting in trouble for posting media – photos, videos, sound clips or what have you – that didn’t belong to them. Pinterest managed to tackle that problem and today it doesn’t seem to be as much of an issue. That along with Pinterest’s visual-based layout has made it attractive for individuals and businesses alike. Today people use Pinterest for all sorts of reasons. Here are just a few ways businesses are using Pinterest to bring their brands to life. GiftBasketsPlus came up with an ingenious way to attract more visitors to their Pinterest board. The company set up its first “Pin It to Win It” contest where the winner could win one of their signature gift baskets worth up to $100. 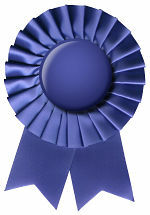 Many online marketers know that a great way to entice more people to your online marketing interests is with a contest. With this particular Pinterest contest, users must ‘Like’ the board to qualify. Then they are asked to create their own boards where they will re-pin their favorite gift baskets with a minimum of five. This increases re-pins for the company, attracts far more attention to the brand and everyone has fun. Plus, the winner gets a great gift basket just in time for the New Year. The contest ends December 31st. Petplan merely added a “pin it” button to their site and started implementing Pinterest follow buttons in all their email communications and social marketing campaigns. They also optimized their site’s content to be more Pinterest-friendly (that is, visually appealing). The results? The site appears to have done well at targeting their demographic: pet lovers everywhere. The site saw an 87% increase in traffic and a 35% increase in page views. They also received a 12.5% increase in pet insurance quotes. The lesson? Include more Pinterest-friendly content in your marketing campaigns and you just might appeal to the pinners and re-pinners that reside within your audience. Capital one has an interesting take on the Pinterest contest. The financial institution is currently promoting a Pinterest contest revolving around the 12 Days of Christmas. Pinterest users will have to follow Capital One on the Pinterest site to qualify and the company promises to give away 10 gift cards a day from top retailers Saks Fifth Avenue, Neiman Marcus, Kohl’s, Best Buy and more. PetCo is also running a ’12 Days’-based contest to help users get in the holiday spirit. Use your imagination and come up with a theme based on the current holiday or time of year. You never know when you’ll hit that Pinterest jackpot. Even if you don’t have the next million dollar idea, that doesn’t mean you won’t succeed on Pinterest. 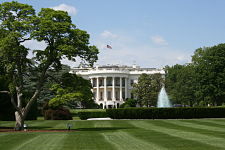 The White House even recently joined the social media site, so it seems that everyone is jumping on board and with more people using the site every day, it just makes sense for you to join also. If you don’t think that you have time for Pinterest, consider all the media you post on Facebook, Twitter and other social networks. Take the visually stunning photographs and videos and put them up for your Pinterest followers to comment on and re-pin. Then, once you get into the site and get used to how it works, you can come up with the next great contest or idea that will send more users to your Pinterest boards and more traffic to your website. With Pinterest increasing traffic to many sites and with more sales happening due to re-pins, you can’t afford to miss this boat. 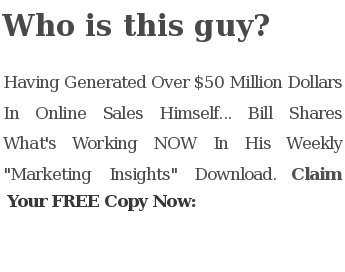 This entry was posted in Pinterest and tagged businesses are using Pinterest, pinterest, Pinterest contest, Pinterest-friendly content by Bill. Bookmark the permalink.